It was mama's new project! She got an order from her friend and I'm kidnapping one for myself. 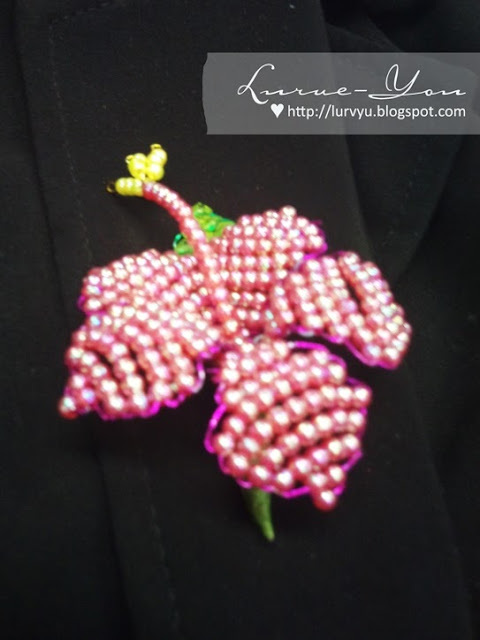 I put it on my coat as a sign of supporting the 50 years - the status of hibiscus as our national flower campaign. Hehe..
Kindly drop your email to me. please help me to LIKE this picture..
OK. Done! All the best to you..